Click here to see the 2015 Grow Smart Awards program. treasures from the beginning of the last century, and also apparently with citizens willing to restore and repurpose them as gifts to the community. 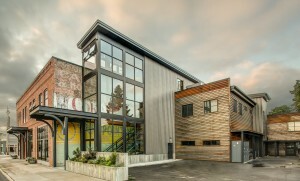 The Belwood 301 project is a labor of love for owners Julie and Steve Meyer, who transformed a defunct former furniture store into a vibrant mixed-use showcase blend of old and new materials and design. The owners and their design team preserved and updated the historic timber and brick structure with seismic reinforcing, ADA and bicycle/pedestrian access improvements and energy efficiency measures. The result is a vibrant commercial and entertainment anchor bringing renewed prominence and economic energy to this corner of Sandpoint’s downtown. pioneering project. 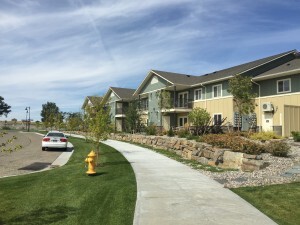 As part of the Snake River Landing mixed-use development it embodies a number of smart growth firsts: first multifamily project, first LEED Platinum for Homes, first affordable and senior-designed residences. Snake River Landing is a new neighborhood being built from the ground up on a reclaimed industrial brownfield less than a mile southwest of downtown. Bandon River Apartments join single-family housing a block away, office/industrial buildings across the street and growing restaurant/commercial uses within a few blocks. 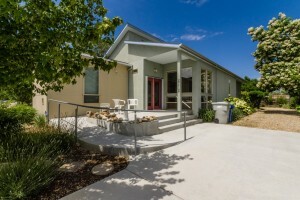 The project is adjacent to a bus stop and incorporates paths connecting to the greenbelt and low-impact landscaping. 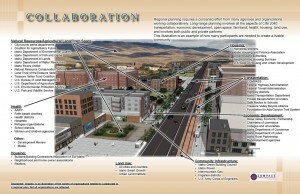 Ada and Canyon counties, produces the area’s long-range transportation plan, currently Communities in Motion (CIM) 2040. CIM 2040 looks at growth projected for the next 20 years to help ensure that area transportation systems will be ready. 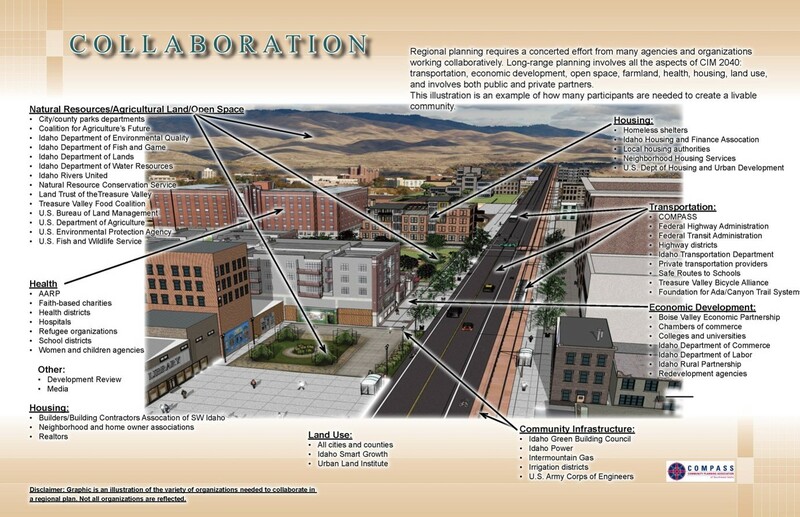 CIM 2040 goes further than traditional transportation plans by incorporating seven planning elements in addition to transportation modes: land use, housing, open space, farmland, economic development, community infrastructure and health. Smart growth principles form the core of this broader vision, derived through an extensive public participation process involving stakeholders, decision-makers and the general public. 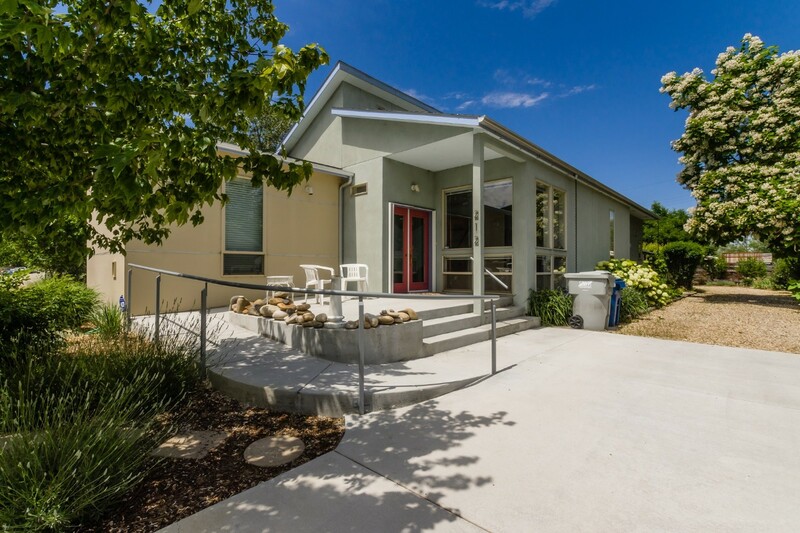 the iconic foothills north of town, and the Hillside to Hollow Master Plan is a great example of community involvement in deciding how to preserve the open space and make it more accessible. 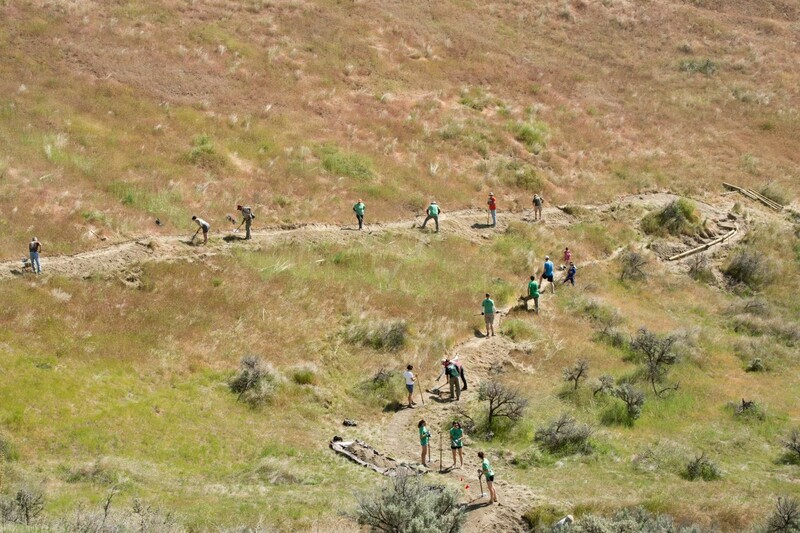 The plan area covers more than 300 acres of foothills within the city limits managed by three different entities: the city of Boise, Land Trust of the Treasure Valley and Ridge to Rivers. Working with consultants Agnew::Beck, the team conducted a process that illustrates the importance of community partnerships and community engagement in creating a long-term plan. 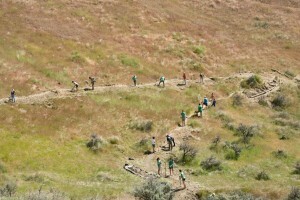 The jury applauded the outreach as well as the way the plan provides both connectivity and land preservation. They especially liked how the project did a good job of placemaking and in getting people to say what they would like to use the area for. carving through its center, both a barrier and an incredible opportunity. The city of Idaho Falls and many collaborators emphasized the latter in the redevelopment of a quarter mile of derelict and dangerous riverbank into a year-round amenity. 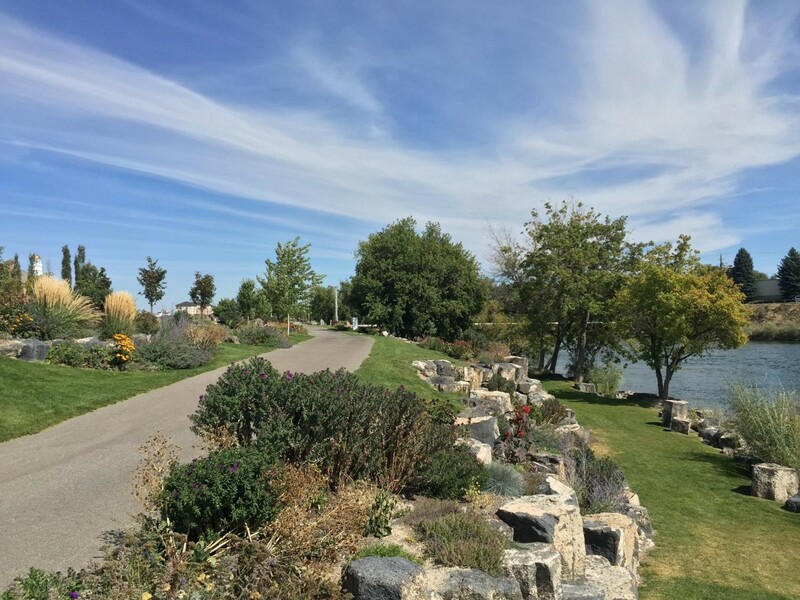 The resulting park provides outdoors access through walking paths, flower gardens, an amphitheater, picnic areas, fishing piers and improved Snake River Greenbelt connectivity. 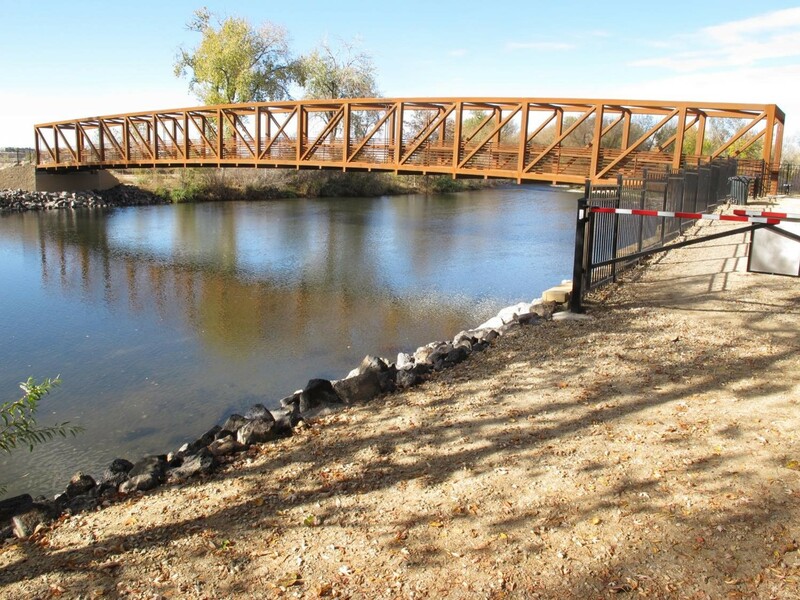 The project provides a range of benefits—it enhances the riparian environment, creates a community gathering point and complements the recent economic investment in the nearby Taylor’s Crossing and Snake River Landing redevelopments. 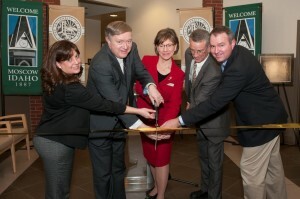 and her community, and this legacy of giving continues with Surel’s Place. Surel was a visual artist who was an early artistic pioneer in Garden City, building a modern home in 1998 among trailers near the greenbelt and Boise River. She served on the city’s Planning and Zoning Commission, the Comprehensive Plan Committee and its first Arts Commission, promoting the establishment of a “Live-Work-Create” overlay zone in 2007. The district overturns traditional zoning’s separation of residential and commercial land uses and allows owners the option to live, work and create on a single property. The change has encouraged all manner of artistic, industrial and other small commercial businesses to flourish in Garden City. this case it’s also an example. Spanning the Boise River west of Boise, the bicycle/pedestrian West Bridge joins the greenbelt in Garden City on the north to a new greenbelt portion in unincorporated Ada County on the south. Prior to construction, the nearest river crossing was 3.7 miles away and includes motorized traffic. Technically two bridges and other landscape work, the project required layers of public-private collaboration, more than five years of planning and funding from many different sources. It provides accessible opportunities for fishing, birdwatching and other outdoor activities and it should encourage new compact development nearby. The jury highlighted the vital link in the transportation network and voiced hope that the bridge will encourage the development of a future greenbelt connection on the north to the existing greenbelt in Eagle. 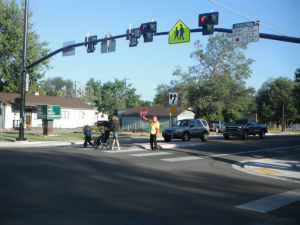 27th Street in the West End accomplished a number of transportation and community goals, especially making the street safer and more accommodating for all users, including pedestrians and bicyclists. With the nearby 2013 Grow Smart Award-winning Whitewater Park Boulevard capturing much of the through traffic, 27th Street has returned to a neighborhood street that no longer splits the neighborhood in two. Now much safer to cross, it better connects the east and west halves of the neighborhood and the commercial uses at State and Main streets with homes, schools, offices, churches and markets in the middle. walking to school was “normal” and knew the best bike routes to her friends’ houses and the neighborhood grocery store. She was interested in smart growth “before Smart Growth had a name.” After degrees in nursing and psychology from Boise State University, marriage, kids and years in healthcare, science and nonprofit work, she returned to school at the University of Idaho and completed a master’s in environmental science in 2002. She was interested in the integration of built environments with landscapes and the people who inhabit them. 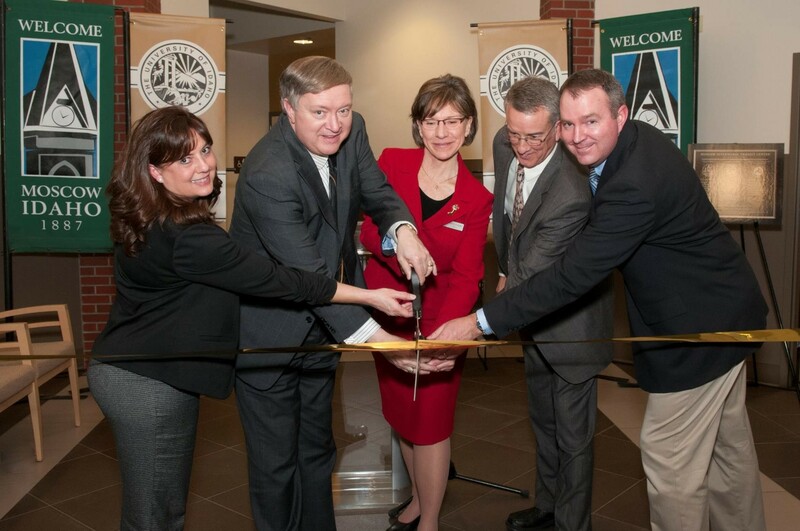 The program sharpened her understanding of smart growth principles, and, she says, “That knowledge proved invaluable when I became an elected official.” Nancy has served as a city council member for the city of Moscow, and was elected mayor for two terms.